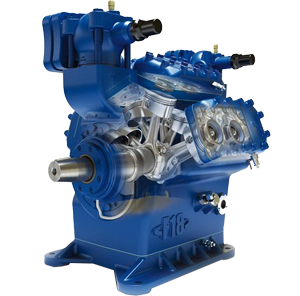 Southern Sales & Services offer GEA Grasso open type reciprocating piston compressors with focus on high efficient ammonia compressors for refrigeration and heat pumps. 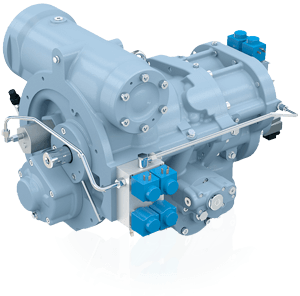 With the new GEA Grasso V reciprocating piston compressors series, GEA is heralding the start of a completely new era for the industrial refrigeration market. 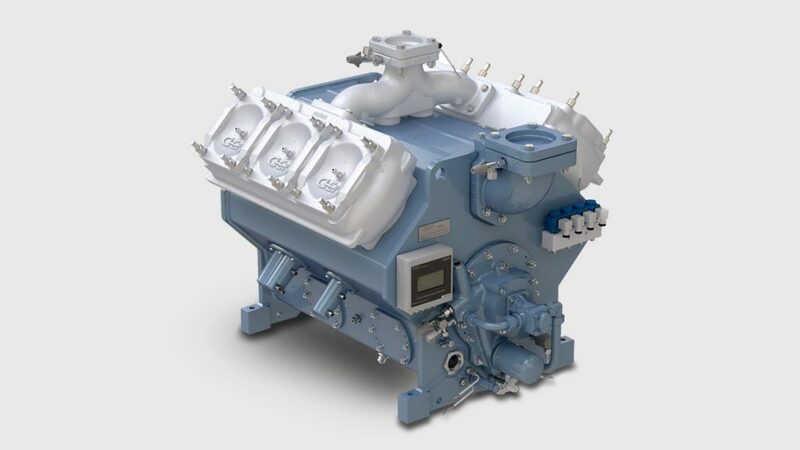 During the development of the GEA Grasso V series, GEA Grasso continually put itself in the position of the end user. Every component was assessed for the most important elements that contribute to a low Total Cost of Ownership like energy, maintenance and reliability with min. downtime. 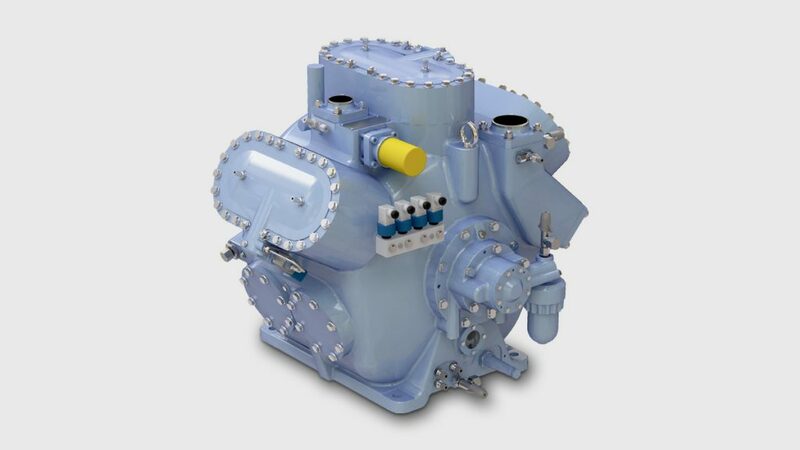 The result is not only the most effcient reciprocating compressor on the market but also a compressor with electronically controlled service intervals (extended as well as flexible) in order to reduce the Total Cost of Ownership without jeopardizing reliability. This new series replace the existing single stage series in a swept volume range from … up to … m³/h. Compound (two stage) compressors are now available. 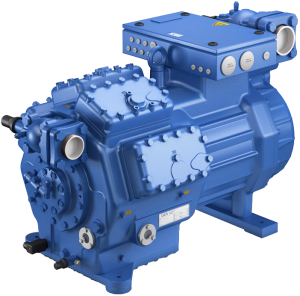 With the GEA V reciprocating compressor series, GEA heralds the start of a completely new era for the industrial refrigeration market. During the development of the GEA V series, GEA continually puts itself in the position of the end user. 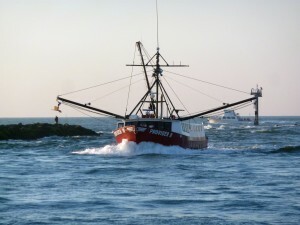 Every component was assessed for the most important elements that contribute to a low Total Cost of Ownership like energy, maintenance and reliability with minimum downtime. 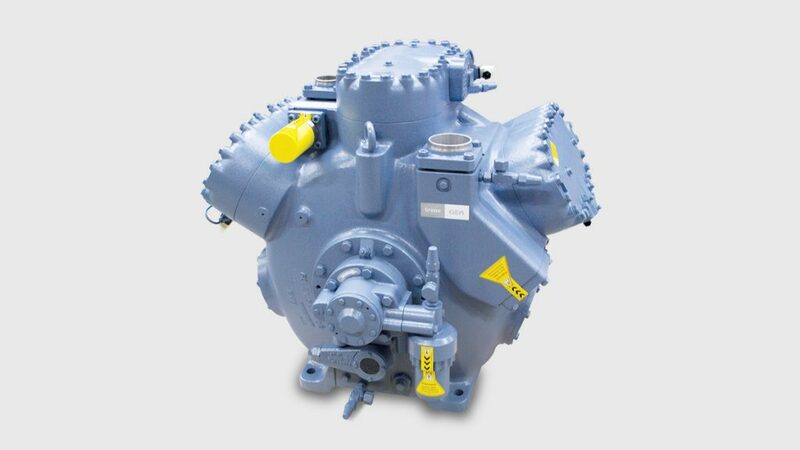 The result is not only the most efficient reciprocating compressor on the market, but also a compressor with electronically controlled service intervals (extended as well as flexible) in order to reduce the Total Cost of Ownership without jeopardizing reliability. 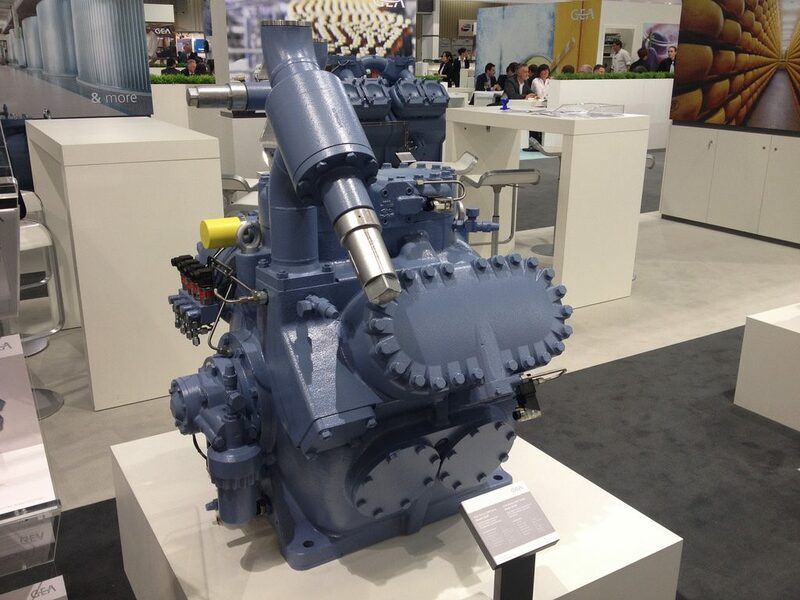 This GEA V exists of a complete single stage and two stage series in a swept volume range from 217 up to 1.592 m³⁄. 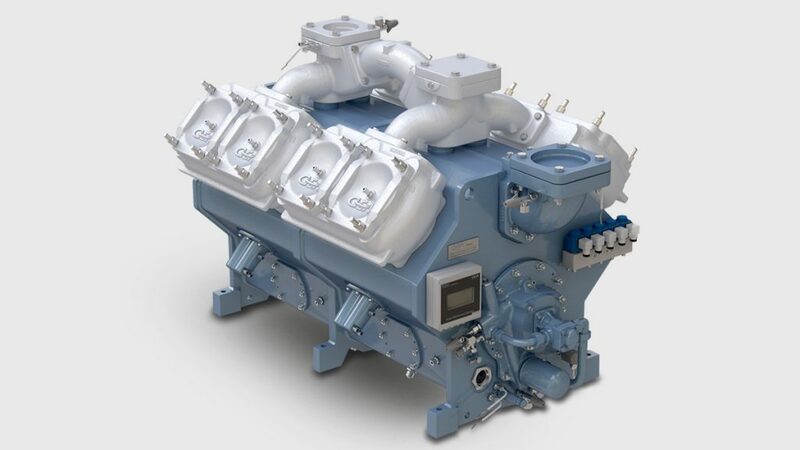 Reciprocating compressors for CO₂ freezing and NH₃ heat pump applications. 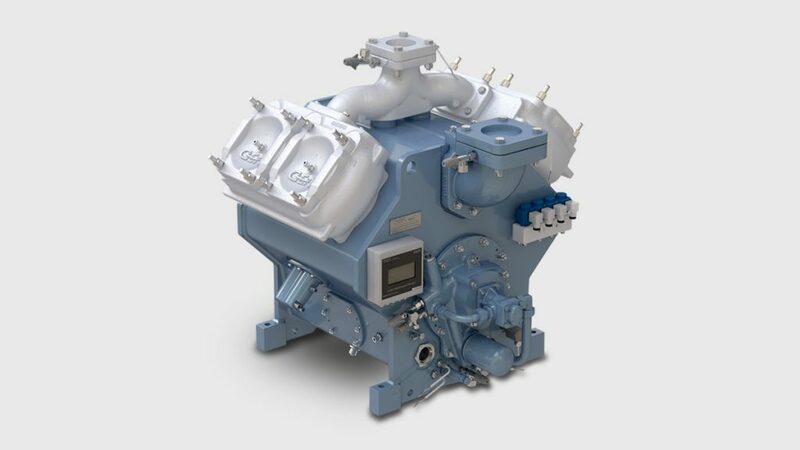 The 50 bar GEA 5HP compressor has been developed for use in CO₂ cascade freezing systems and is a well-accepted and reliable appearance in the industrial refrigeration market. 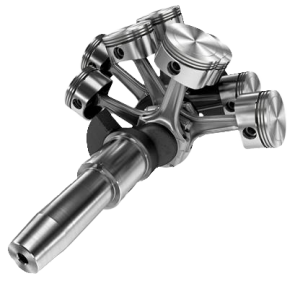 4 single stage models from 3 up to 6 cylinders cover a wide range of capacities. 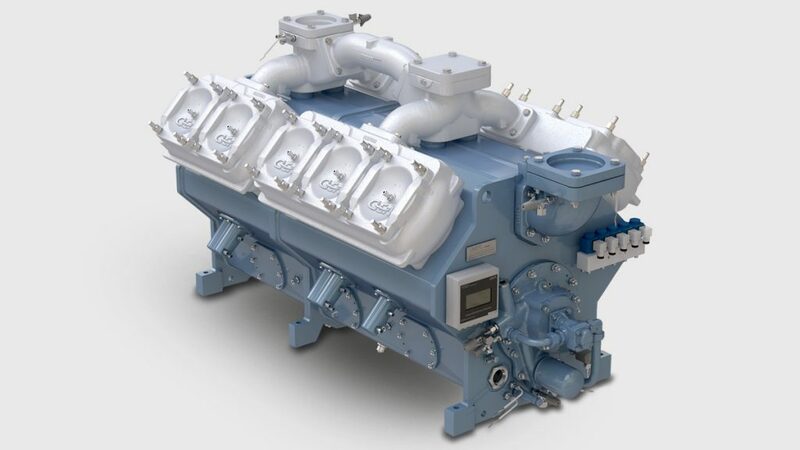 The extremely low volume flow in relation with the cooling capacity makes this series to a big performer. 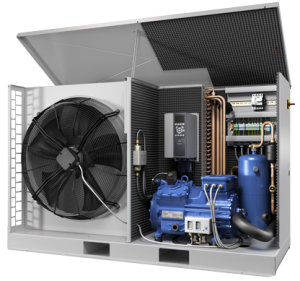 A logic further development of the GEA 5HP Series is the integration in NH₃ heat pump systems. The 50 bar design makes it possible to condensate up to 80ºC and results in producing high level of water temperatures.